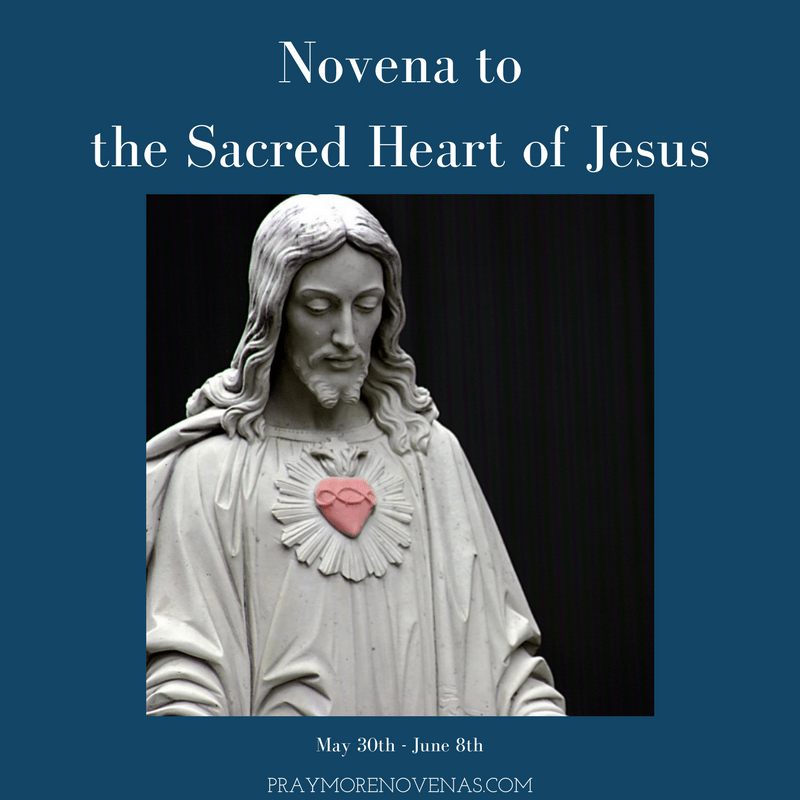 Here’s Day 3 of The Sacred Heart of Jesus Novena! Please pray that we get reinstated on to Nedbank panel thanks please help me to lose this weight once and for all. Bless me with good health of mind and body and bless me financially and bless me with good husband and reveal to me in my sleep who the right man is for me Bless me with a steady fiancé and help and guide and direct Siaad to ask me for a date. I want to thank the Sacred Heart for a healing with my daughter in law. Dear Jesus, through your Sacred Heart, please ask God the Father to give comfort to a man in his early 50’s and his daughter, and the whole extended family, for he just lost his wife to suicide. Their daughter in her early 20’s, was so close to her mom. Only you know the inner grief they are dealing with. They are heartbroken and suffering so right now. Please give them peace in their heart, to continue on with their lives, and keep those sweet and loving memories alive in their heart. I ask this through our Lord Jesus Christ. Amen. Prayers that my grandson Elijah will be able to spend the summer with us.. We haven’t seen him in about a yr now and are praying that we will see him this summer.. Wee miss him so much. Thank you in advance for your prayers. Dear sacred heart of Jesus. I am starting this Novena 2 days late. Forgive me. Please dear Jesus, help us. Bring blessings into our lives of A my younger son and I. Bring Blessings to our business. Heal me Jesus, in my mind body and soul. Let me have more energy. Heal my eyesight so I won’t need to have laser done again. Heal my feet from bunions. You have blessed me with wonderful gifts help me to stay focused on them one at a time. Bless my son A to have the persistence, focus, and determination and to find the best teacher after the one he has now, in his singing career so he can be recognized worldwide because he has a great voice…and send him a godly woman into his life because he deserves it more than anyone I know. He has such a wonderful heart and he loves helping people. He and I are the black sheep of my family. We have always been put down, put down and there is never any recognition for our good work and we are both tired of trying to win the approval of my family. I come from a very selfish family who only care about themselves and how much money they have and are very fake and always try to impress people. I raised 2 beautiful boys A and G. to be great men in this life. But I have been and still, am been abused and used at every turn from my family. And my son A who has protected me from my family is not liked by them and we are isolated from them because they are very negative people and we are not visited by them at all. They only put us down if we see them. My other son G on the other hand. He also has a big heart and is very generous and he is married to another negative person who totally uses him. My son is totally naive when it comes to his wife. She has brainwashed him into believing that I haven’t accepted her and I’m the bad person and she is a beautiful wife to him. When she is totally the opposite of what she and her mother make him think. He has a successful business. And if it wasn’t for him she would have nothing. She is only with him because the business is making money otherwise she would be out of there. She is deceitful, controlling and lies to him. Please, Jesus, save this son G from her manipulations and control. I leave him totally in your hands Jesus because it’s out of my hands. If I say something I’m always the one to blame. Jesus with the gifts you have blessed me with make me flourish into something very special. Help me to focus more on my gifts then the negativity of my family. It’s hard when they live around the corner from me. I would like to enter the Masterchef competition and would love to get through right to the very top and win the title because I know I can use it to a good use. I need your guidance and protection in everything I do. My sacred heart of Jesus. Because sometimes having no support from my family I just want to curl up in bed and die. My family is very greedy and my son G is also married to a greedy family. Save and also protect him and his little girl from that negative wife and her family. They will blame him for everything if things don’t go their way. I give my worries up to you dear sweet Jesus. d strong and be happy. . to my son to open his eyes and ho to tbe bavy and let nothing get in his way. May ge be strong and get over his illness. I asf this in the bame of jesys. God ordained partner. Guide my partner to recognize me . Holy mother thank you for improving my mind and keep me strong. Help Peter and Stephanie that she can be made better from the awful cough. Please let them give immunotherapy again and make her well. In the name of the father. Amen. Most Sacred Heart of Jesus I pray with all my trust in you as I ask for healing for Stevie of all the knots in his life. Please grant him physical, mental, emotional and spiritual healing from your abundant compassion and mercy in your Sacred Heart. Please shower healing graces upon Gigi that her kidneys will be healed also from your compassionate and Most Sacred Heart. Be with Jason as he travels and please protect him in your Sacred Heart like a shield from any harm or danger. May the Blessed Mother protect and guide my family with the powerful Holy Spirit and bring good people to surround my sons. May she also unite my sons with good women to marry so their lives will be blessed with a deep mutual love. Thank you for this gift of prayer! Amen. Father I ask in Jesus name and if it is in your will for Ray to come back with love in his heart for me..I ask for protection over my family..In Jesus name, AMEN. Lord Jesus I pray for money to finance my son throughout medical school.i pray for money to pay my son’s tuition fees that is now due.sacred heart of jesus intercede for me. I pray for LD and CD to have a long, healthy and happy marriage. Bring them back to the Catholic Church and may they be married in the Catholic Faith. Sacred Heart of Jesus, Hear my prayers for my son. Bless with sec app and interview for CAUSM, today and to start from fall. Your promise dear Jesus to be fulfilled today for him to do MD education and complete medical education to serve people. In Your name I ask to have mercy and let there be your grace upon him today and forever throughout his life. Keep him away from Ungodly people , ungodly environment and Ungodly women who do not know God’s word. Thank you Jesus for all the blessings for him. Heal his scalp and left shoulder. Amen. Dear Sacred Heart Of Jesus, I am asking you to help my husband David to take away this Lymphoma cancer and to take away David drugs, cigarettes, alcohol addiction. Please In the Name of Jesus. I ask your loving grace to pray for my daughter Erica to help her kept her loving children Mollie and Ethan that her husband don’t take them away for her help her fight to have them with joint custody I trust on you Lord Jesus, please help my lovely grandchildren. Please watch over my son David Jr, please help him with his work , financially, and allow him to return to nursing school . In Jesus name I pray for my self Amanda , to heal my knee so I can walk and it stop hurting me. Secret Heart Of Jesus , I love You. Whatever you ask of me I will do . I trust in You . So grateful today for the blessings bestowed upon me. I received two miracles yesterday in the area of my career. Glory and thanks be to God! Let us continue to be faithful in prayer and put all our trust in Jesus for he truly cares for us. Most Sacred Heart of Jesus – I pray for my relationships with my wife, son & daughter and our family as a whole. Give us Lord what we need each day to know ,trust and do your will. May we want what you want for us. I pray to genuinely love and not judge, to set aside what I think I know about everything so that your Holy Spirit May have a place to land in my heart soul & mind. Guide my thoughts words gestures and actions today Lord. Most Sacred Heart of Jesus, I Place all my trust, all of my being, in you. Amen. Alleluia. May your fruits of peace serenity joy rest in us this day. I pray for peace among us in our work places. I pray for help in order to do my roof and also for my children and unversity. In Jesus’s name I pray. I ask for your loving grace for my family and especially my son’s. Please watch over my sister and heal her from what she is being tortured by. Sacred Heart of Jesus I Love You. Whatever you ask of me I will do. Dear Scared Heart of Jesus, i continue to ask that you help me figure out who amongst the two men in my life is the partner you have chosen for me to be with forever. Speak to me Lord, show me a sign. I place all of my trust in You Lord. Please hear and answer me. Amen. Dear Sacred Heart of Jesus I’m stil praying for my incoming nursing board examination on June 3and 4…Help me guide me give me more wisdom and have concentration that I can answer my board examination correctly and I can shade my scantron properly..Dear Sacred Heart of Jesus just 2days left but still I can’t finish all my review materials .I trust in you and surrender with you all that I can manage to answer correctly my exam to be the topnochers with the average of 88% to fullfilled my dreams and to fullfilled my mother dying wish..I trust in you Sacred heart of Jesus .Amen. For the conversion of my husband and fanmily and healing for Joanne, Rebecca and Ally. Thank you!